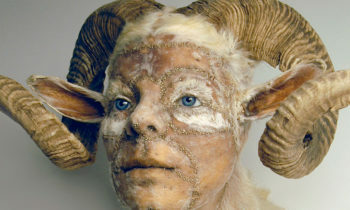 My Monster: The Human Animal Hybrid (RMIT Gallery 29th June – 18th Aug 2018) explores our enduring fascination with the merging of the human and animal, and coincides with the 200th anniversary year of the publication of Mary Shelley’s Frankenstein. Banner image: Julia deVille, Peter, 2012. Rabbit, antique sterling silver goblet.